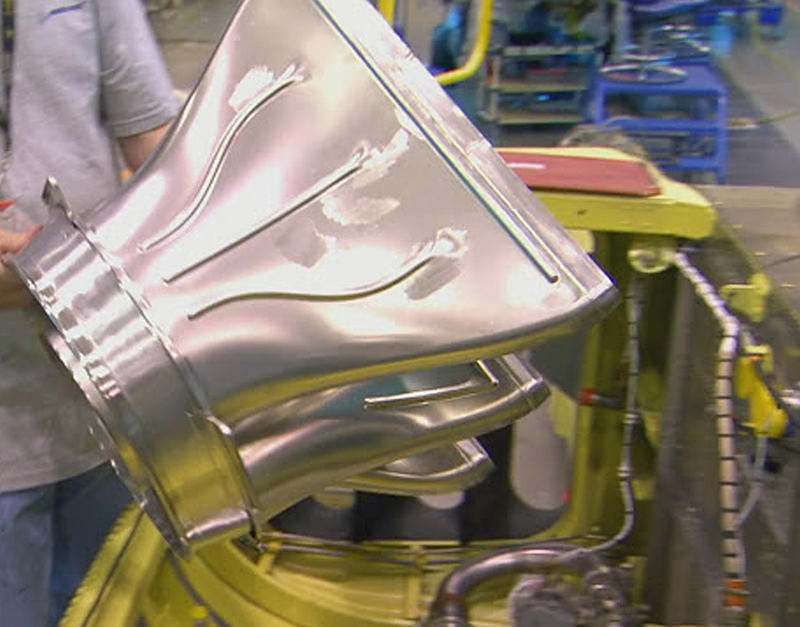 Primary Exhausts for Apache Helicopters. The Apache is heavily relied upon by the armed services, and is frequently in the harshest military operating environments imaginable. One of the significant defenses it has is the way it hides its heat signature from infrared sensors. The Primary exhausts, manufactured by ACE, have three channels which bend, obscuring a direct visibility of the engines. The Secondary exhausts that the Primaries fit inside of wrap them in thick, thermal insulation, protecting the vehicle from detection. 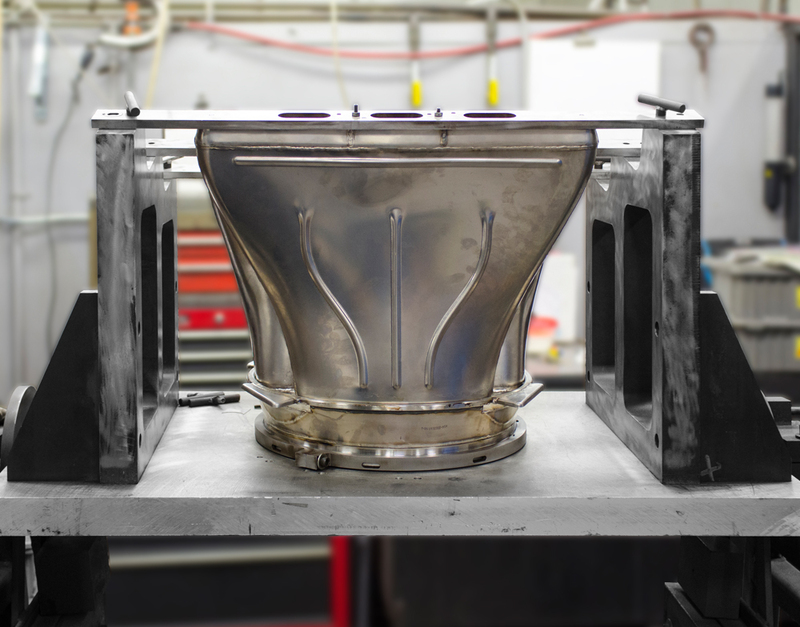 The six sides and base components for each of these Primaries are formed from severe-heat resistant Inconel, an austenitic nickel-chromium based super alloy. This metal is also oxidation and corrosion resistant, making it ideal for extreme environments. 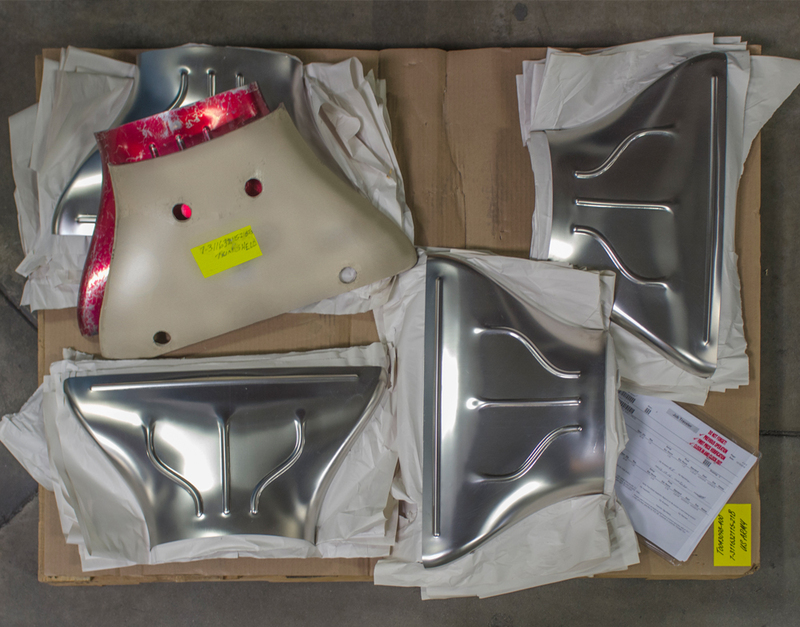 The shapes are formed from sheets on ACE’s drop hammers, trimmed on our 5-axis laser cutter and transported to our assembly and welding departments. 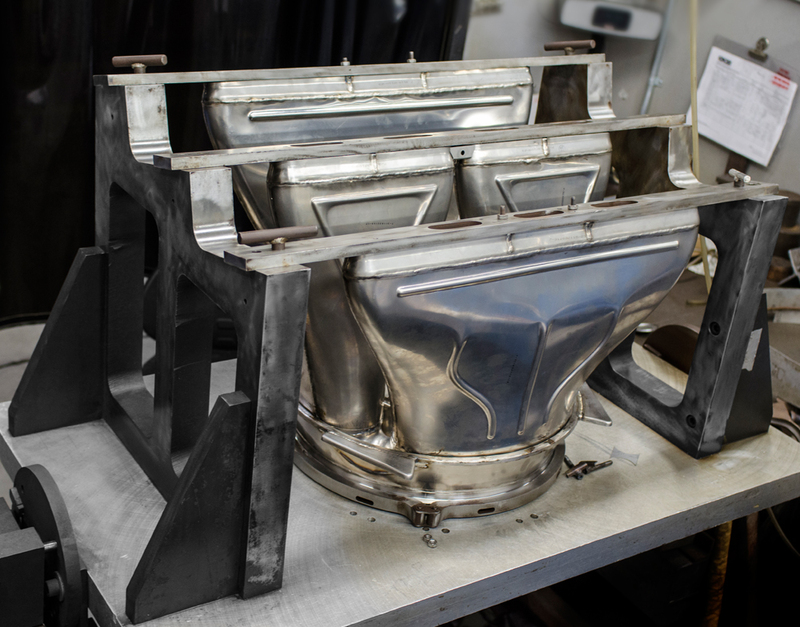 There, the elements are secured by fixtures, which hold the shapes in precise alignment for welding. 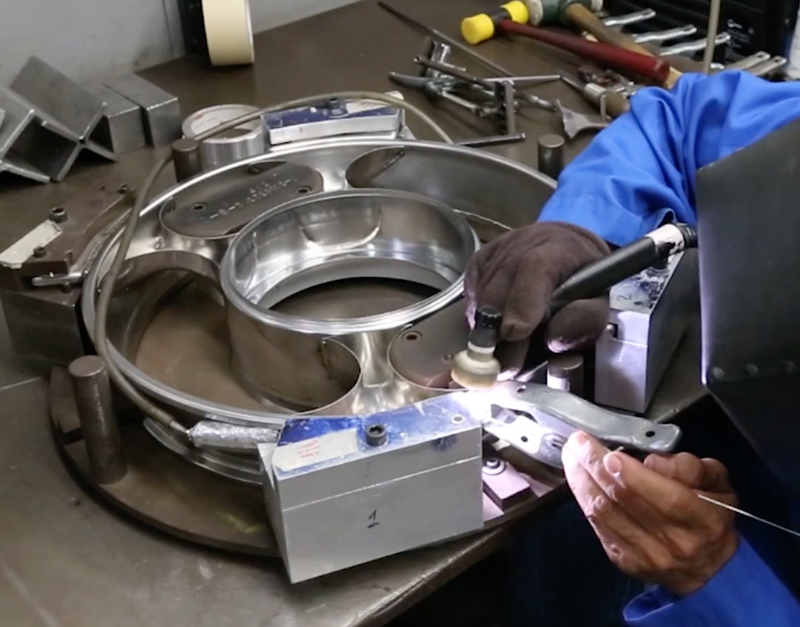 Our deburring team then grinds-out any remaining imperfections to a smooth surface to meet strict customer requirements. 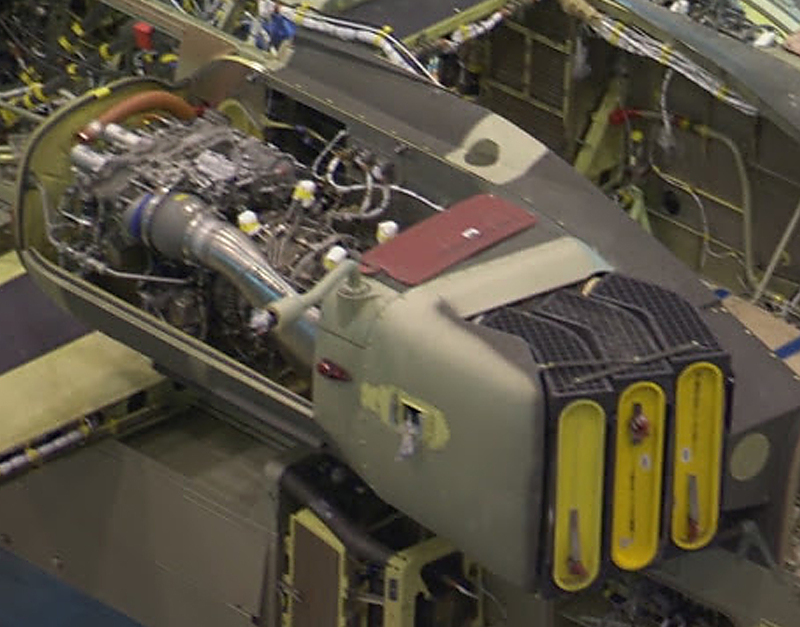 Once thoroughly inspected, delivered and installed, the Primary’s unique and complex construction resists wear-and-tear from extreme heat and vibration from the Apache’s turboshaft engines. Mid-process, these elements are compared to the First Article, (dyed red) which has been approved by our customer for all the measurements and radiuses. The white shell on top of it is also a measurement guide. 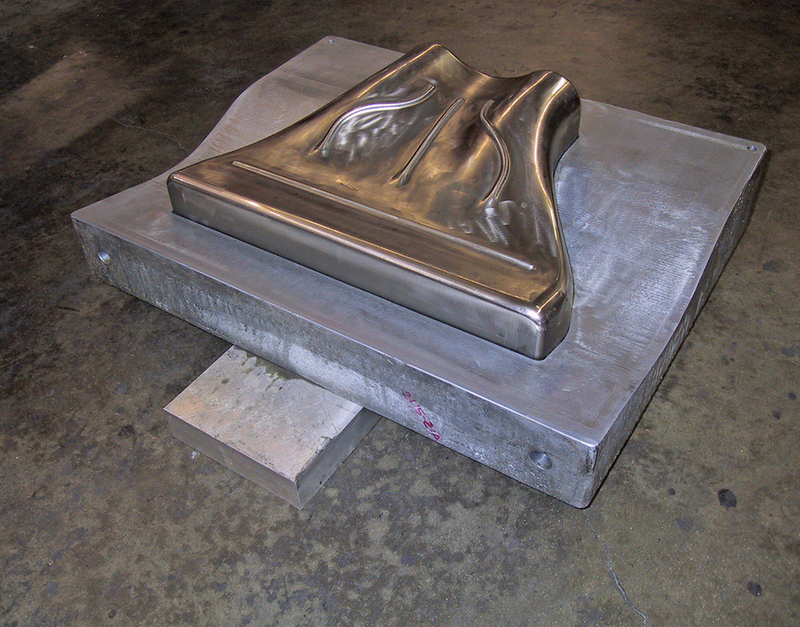 Each of this part will be placed into the fiberglas form to check all dimensions. 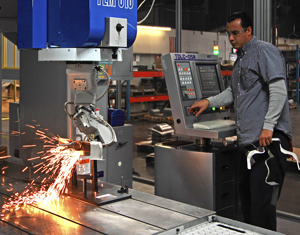 A custom tool, or fixture holds the six inconel side panels in precise alignment for welding to exact specifications. Elements made of inconel are assembled and specially welded to create the connector base – to resist the heat from engine exhaust and damage from extreme vibration. Every completed component is thoroughly tested with green florescent dyes in our Non-destructive Testing (NDT) work center. 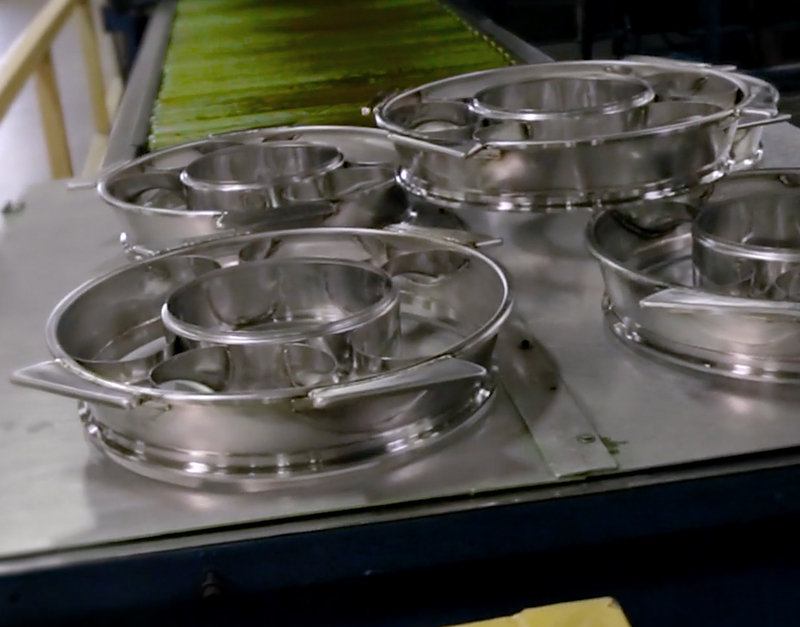 Under ultraviolet light, the dyes reveal any defect, porosity or cracking in the welds. The finished primaries are extremely durable and built for harsh conditions. 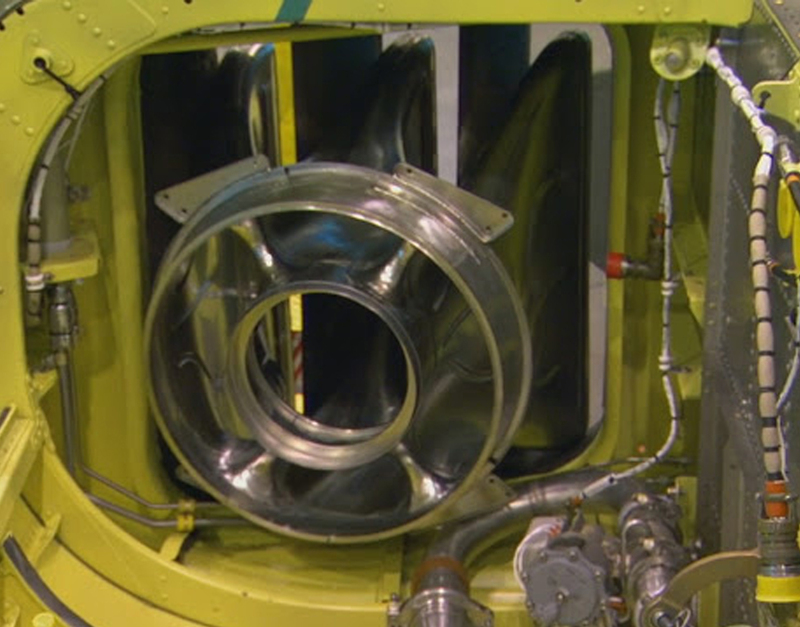 Installations are performed in sometimes hostile environments in the field, and these "BlackHole" infra-red suppression engine exhaust ducts are built to take it. Once installed, a secondary outer structure made of thick insulation further decreases the heat signature of the AH-64's engine exhaust. The process begins with this die and a hydraulic press. 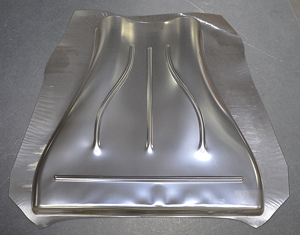 Sheets of Inconel are formed on this shape with controlled pressure. 10 tons of pressure provide this complex, convex shape, one of six different side panels. Elements are then trimmed on our computer-programmed laser cutter. This laser cutter is precise, and can trim 20 forms in the same time it takes to trim one using traditional methods.